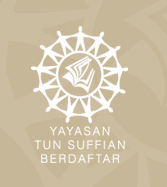 Since its establishment on 11 June 2002 the Tun Suffian Foundation, under the Joint Royal Patronage of Their Royal Highnesses the Sultan and the Raja Permaisuri of Perak, has, among other things, provided financial assistance to young Malaysians pursuing law studies and young lawyers attending educational seminars and conferences both here and abroad. The Tun Suffian Cambridge Scholarship (modelled on the Rhodes Scholarships, the oldest international fellowships initiated after the death of Cecil Rhodes in 1902 to bring outstanding students to the University of Oxford) has received official recognition from the authorities at Cambridge. In March 2008, Low Weng Tchung, a Perak-born Malaysian student became the first Tun Suffian Scholar at Cambridge where he obtained a first class in the LLM degree. In December 2009, Azlin binti Sabtu, a Senior Federal Counsel at the Malaysian Attorney-General’s Chambers became the second Tun Suffia Cambridge Scholar. She has successfully pursued the LLM degree with honours at Cambridge. In line with its principal objective to perpetuate the good name of the late Tun, the Foundation had commissioned a distinguished author, Professor Salleh Buang, to write a book, reflective of the life and philosophy of the great mentor entitled “In Service Of The Law-Simplicity & Greatness-Tun Suffian’s Legacy.” The book has been a sell-out and is currently out of print. The Board awarded a financial grant to Universiti Teknologi Malaysia (UTM) to facilitate a research group headed by Assoc Prof Dr Ismail Bin Omar to review the National Land Code 1965, the torrens-system upon which it is based has lasted over a century and is in dire need of being updated and amended. It has also agreed to sponsor a group from the University of Malaya Law Faculty to publish a book containing Tun Suffian’s judgments on Public Law with commentaries. Except for those pursuing the PhD in selected Malaysian universities, these awards are open only to Malaysian citizens. An LLB scholar must maintain a CGPA of above 2.7 in all his/her semester examinations, failing which the Board of Trustees of the Foundation reserves the right to have the scholar’s scholarship suspended or withdrawn. That if at any time in the future a scholar obtains any other scholarship, fellowship or monetary grant from any other body, the scholar shall immediately inform the Foundation, in which event his/her Tun Suffian Scholarship would be withdrawn forthwith and all monies while expended by the Foundation on the scholar shall be refunded by him/her without delay. ALL APPLICANTS must be from Malaysian citizens with the exception of the Tun Suffian PhD Scholarship which is also available to non-Malaysian pursuing the course in Malaysia. How to Apply The Tun Suffian Scholarship?